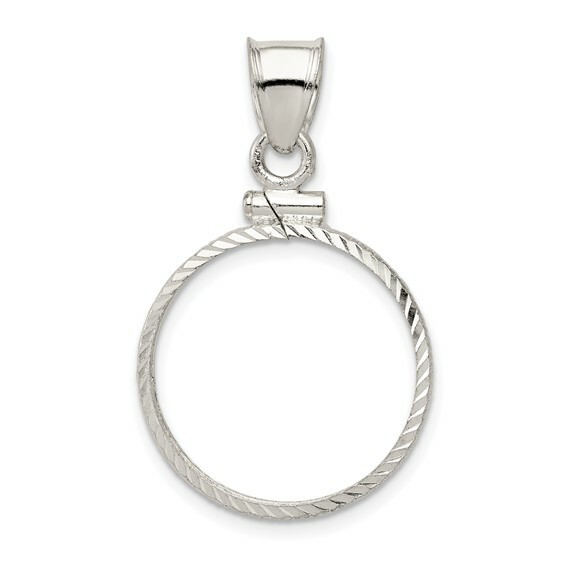 Sterling silver diamond-cut coin bezel pendant fits a penny. Dimensions: 19.1mm x 1.5mm. Made in USA.